Ornamental plants are those plants grown for their ornamental value. They are usually perennials and are visually striking for either their flowers, foliage, or even the color of their bark. Often, ornamentals are chosen for a particular season. Some have interesting or colorful seed pods that provide autumn or winter interest. Others ornamental plants are chosen for their hardiness, such as those that are deer-resistant. Still others are chosen simply because the home gardener likes how the plant looks. The redosier dogwood shrub (Cornus sericea) has vibrantly-red colored twigs that are outstanding in the winter, especially when framed against white drifts of snow. In fact, this is a popular ornamental plant choice among gardeners who live in cold climates, as this plant is cold-hardy to U.S. Department of Agriculture (USDA) zone 2. Cornus sericea grows best in full sun or partial shade and in moist, fertile soils. The plant is also attractive in the spring and summer, when it blooms with small white flowers surrounded by broad, green leaves. 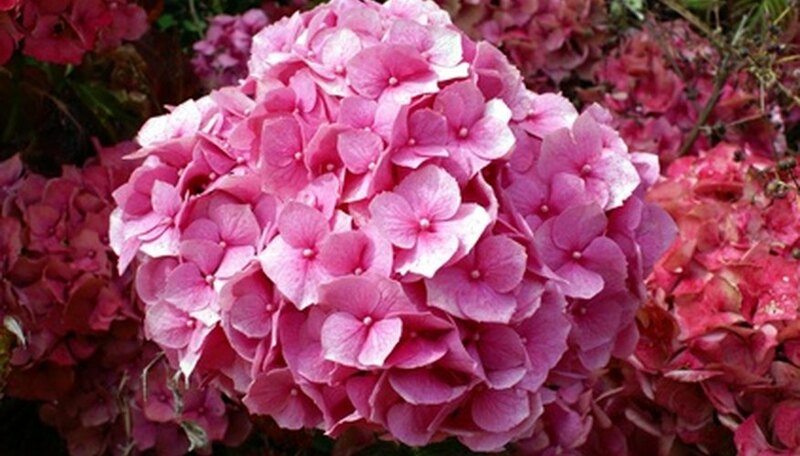 Hydrangea macrophylla, or the big leaf hydrangea, is the most popular hydrangea grown in America, according to the U.S. Department of Agriculture. This showy shrub features huge clusters of flowers in creamy white, pink or blue, depending on the acidity of the soil, surrounded by equally huge, flat leaves. These ornamental plants do best in rich, fertile soil and in a location where they are partially shaded from the hot afternoon sun. They are cold-hardy to USDA zone 6. Roses are quite possibly the most popular ornamental plant grown in the home garden, according to Purdue University. While there are a wide variety of roses available to home gardeners, one of the most ornamental is the grandiflora rose. This rose is a hybrid of two other roses and features large, stunning, usually fragrant flowers clustered on sturdy canes. These rose bushes can get up to 6 feet tall and are quite hardy. Grasses are labeled as either turf (lawn) grasses or ornamental grasses. Ornamental grasses are usually grown for their foliage rather than their flowers. Some have variegated leaves, while others are so dense that they are used as screens. One type of ornamental grass is grown for its stunning size and appearance. Pampas grass can get up to 10 feet tall and features masses of slender green leaves drooping gracefully from the center of the mound, much like a fountain. In addition, the grass flowers with tall, slender stems topped with fluffy "tails" in creamy white. This ornamental grass, which prefers sun and fertile, moist soil, grows best in USDA zones 7b through 10.